and occasions, primarily in the North of Sweden. Sweden, Kristallkvartetten has toured with an appreciated program me in which both sound and visual effects play an important role. With music and images connecting with Northern elements such as snow, ice, harsch landscape but also mosquitos, the fundamental idea has been to create an image of Norrbotten (northern part of Sweden) to the audience. Kristallkvartetten was with this programme selected to participate in Classical NEXT 2014 in Vienna. For both the Sweden tour and the participation in classical NEXT Kristallkvartetten has recieved grants from Norrbotten County Council and from Swedish Arts Council. At Classical NEXT, Kristallkvartetten got in contact with the indian violinist Jyotsna Srikanth. 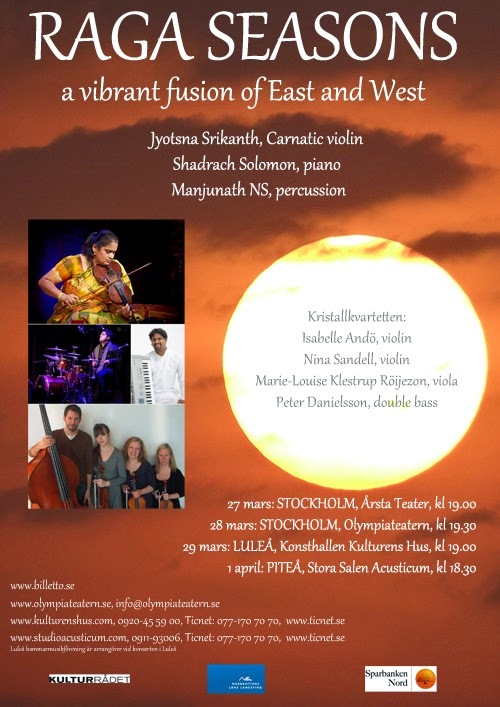 They started a collaboration that resulted in a tour in Sweden in March-April 2015 called 'Raga Seasons', with an interesting programme consisting of Indian and Western music in a new mix. With support from Norrbotten County Council, Swedish Arts Council and Sparbanken Nord. Isabelle has a master's degree from the College of Music in Piteå (2012), and a bachelor's degree from the Chamber Music programme at the College of Music in Örebro (2008). During this time her teachers have been Christian Svarfvar och Sven-Ole Svarfvar. She has also taken lesson for Zakhar Bron, Joakim Svenheden, Marc Power and Ulf Wallin among others. In spring 2012 Isabelle studied with full scholarship at Toho Orchestra Academy, Japan, and is since autumn 2012 based in Stockholm. Besides playing in Kristallkvartetten Isabelle is a member of the tango quintet Paso Nuevo (founder), the string quartet Prismakvartetten (founder) and the singer/songwriterband Marielle & Co. She also plays in orchestras (for example NKO -Norrbotten Chamber Orchestra), new music- projects, musical and theatre groups. Isabelle has recieved grants from Lions, KMA (The Royal Swedish Academy of Music), Helge Ax.son Johnson's Foundation and for different esemble projects fundings from Swedish Arts Council, Norrbotten County Council and City of Stockholm. 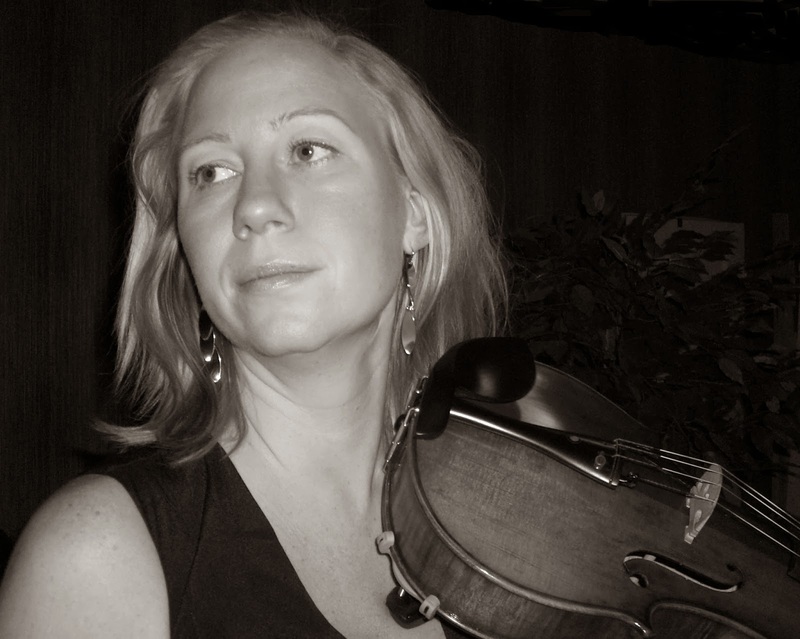 Nina Sandell is a multi musician who plays violin, viola, piano, organ and keyed fiddle. She has studied in England and Sweden and is now working as an organist, string musician, Suzuki teacher in organ and violin, choir leader and ballet accompanist among other things. She plays in many different kinds of ensembles of various genres. Nina is a stand in for Maria Sjöstedt in Kristallkvartetten. Maria Sjöstedt, violin, was born in Kiev, Ukraine. She has recieved her solist-, chamber musician- and teacher's degree at the Tchaikovsky National Academy of Music in Kiev. 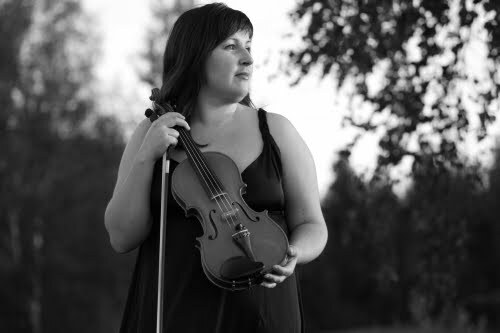 Maria has been employed at The National Symphony Orchestra of Ukraine and the National Philharmonic of Ukraine, and has participated in violin- and chamber music competitions and festivals in Ukraine, Russia, Sweden and other European countries. She has taken master classes in Sweden for Zakhar Bron, Mihaela Martin, Anna Lindal and Yehuda Gilad. As a soloist and together with accompanist Lars Sjöstedt she regularly does concerts from north to south of Sweden. Maria collaborates with Swedish and foreign musicians and is a member of Norrbotten Chamber Orchestra. 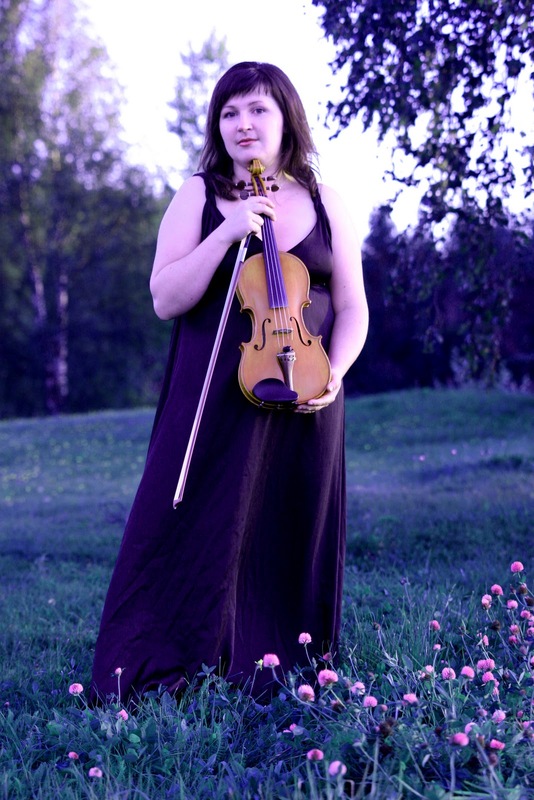 She is a freelance musician and a soloist, violin-, piano- and chamber music teacher at the College of Music in Piteå, Luleå University of Technology. Peter Danielsson has a bachelor's degree from the College of Music in Piteå. He regularly plays in different ensembles and is like Isabelle a member of Marielle & Co and the tango band Paso Nuevo. Other kinds of ensembles Peter plays in are symphony orchestra, barock ensemble and Balkan band. 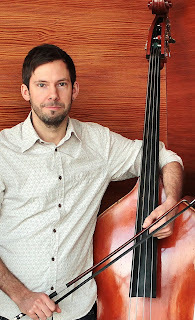 Even if the double bass has become his main instrument, Peter also masters clarinet, mandola and accordeon among other instruments.